There just isn't enough time to do all the fishing I would like. The past weekend was an excellent set of spring tides for mullet/bass fishing but because we were staying with one of our grandsons (his parents were away for a few days and he had to be ferried to his holiday job) I couldn't get to the coast. 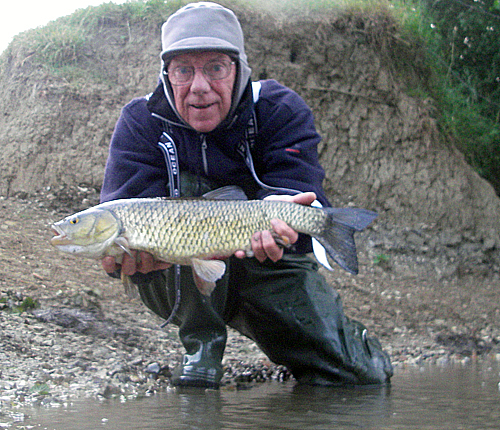 The upshot was that I went to the local river for a couple of short, early morning spinning sessions. 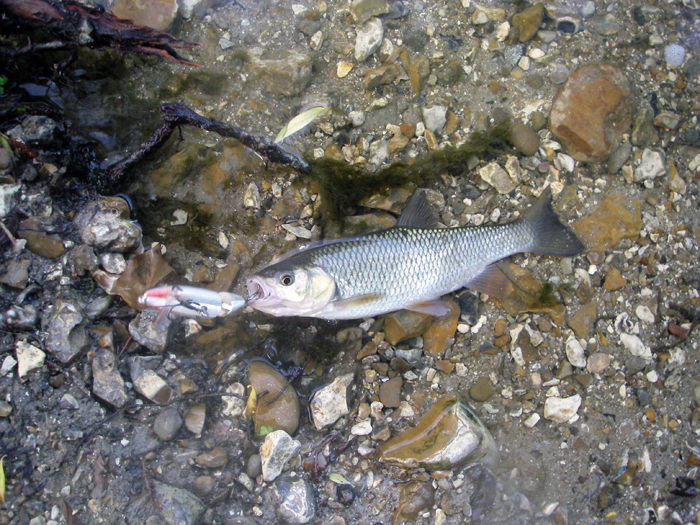 The object of my intentions was chub and/or perch but because the river is heaving with small, greedy pike a wire trace is essential. 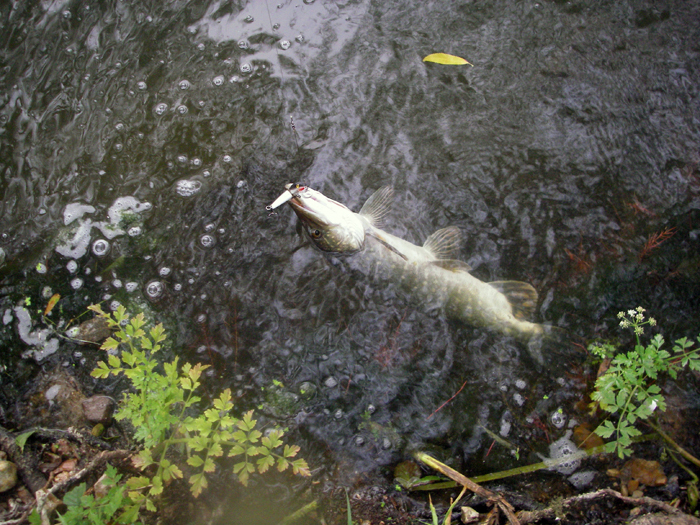 My lure was a black and silver J9 Rapala, a good all round plug for shallow, weedy water. I arrived at the river full of anticipation but when I got to the first fishable spot I found that it had changed dramatically since last year. A huge willow tree which had stood in the river had simply gone. No longer was there a 'chubby' slack under the far bank. 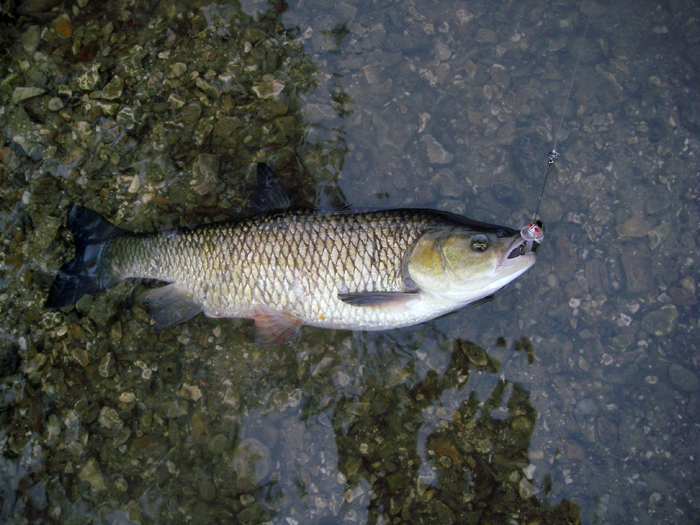 Anyway, I ducked under the barbed wire and paddled into the cattle drink before casting to where the chub used to lie. Nothing! I fanned the casts until on about the fifth one I was casting straight upstream along the near bank. I was still using the Nanofil line that I've been trying recently so the cast was a long one. I retrieved just fast enough to keep the plug working with the flow. After it had gone about ten metres it was grabbed by a decent fish and I was in. To be honest it wasn't much of a battle before a big chub was flapping at my feet. I paddled to the bank before taking a couple of pictures and returning the fish. At 6.25lb it was the best chub I've had for some time. What a start! I suppose it couldn't be anything else but 'all downhill' from there. I had a couple of jack pike to complete my bag. 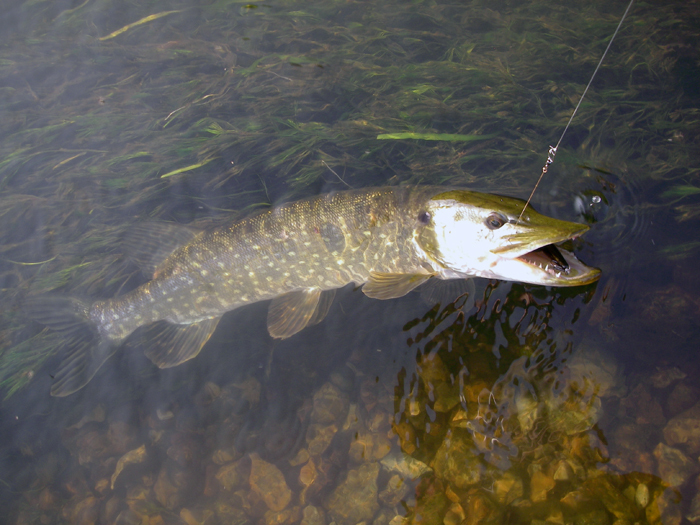 The following morning I had another chub, this time a tiny one, and three more pike of which the best was about six pounds. However, at least I caught a few fish and from the emails my pals sent it sounds as though the fishing at the coast was a bit slow so I didn't miss anything.